Are you looking for an excellent set of throwing knives? 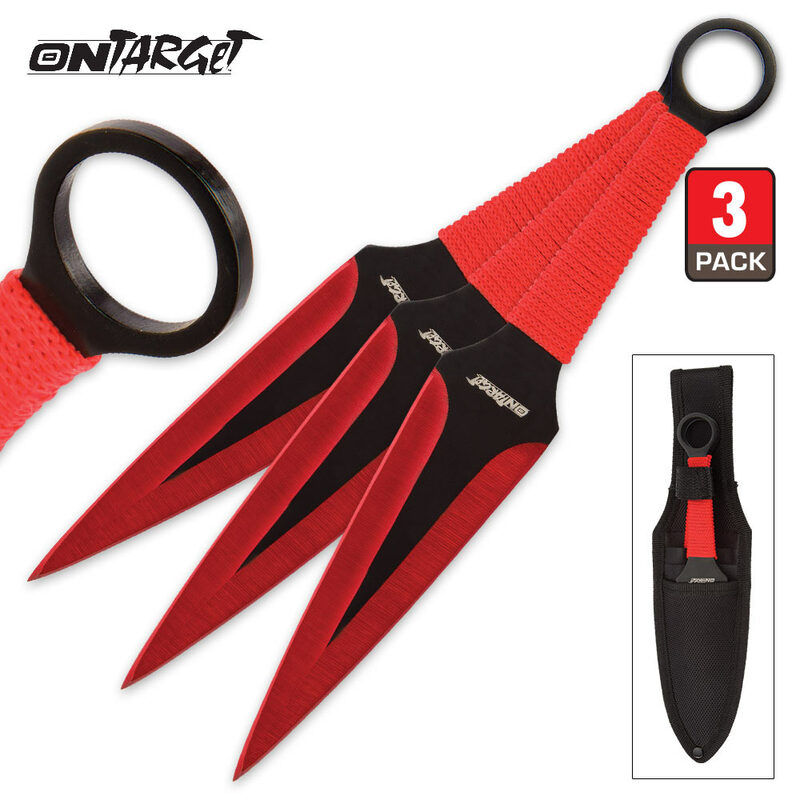 The On Target Three-Piece Throwing Knife Set will let you achieve ultimate target penetration! Each of the long distance daggers in this handy set is a single 9" piece of extraordinarily resilient stainless steel with a striking two-tone black and red finish. The 5" spear point blades are double edged and razor sharp - perfect for penetrating a wide range of materials. Each thrower features a cool, menacing profile, red cord-wrapped handles, convenient finger ring and superb balance for easy precision accuracy on every throw. 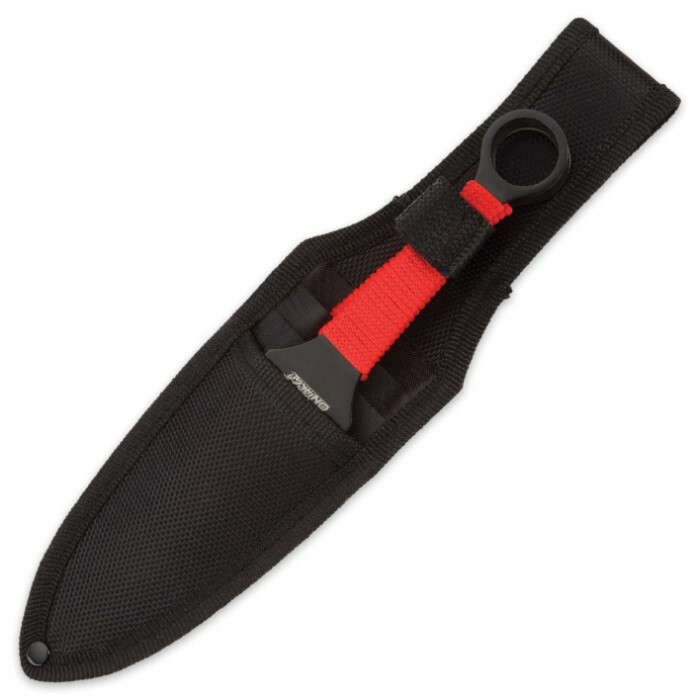 The set includes a tough black nylon belt sheath for easy transport. 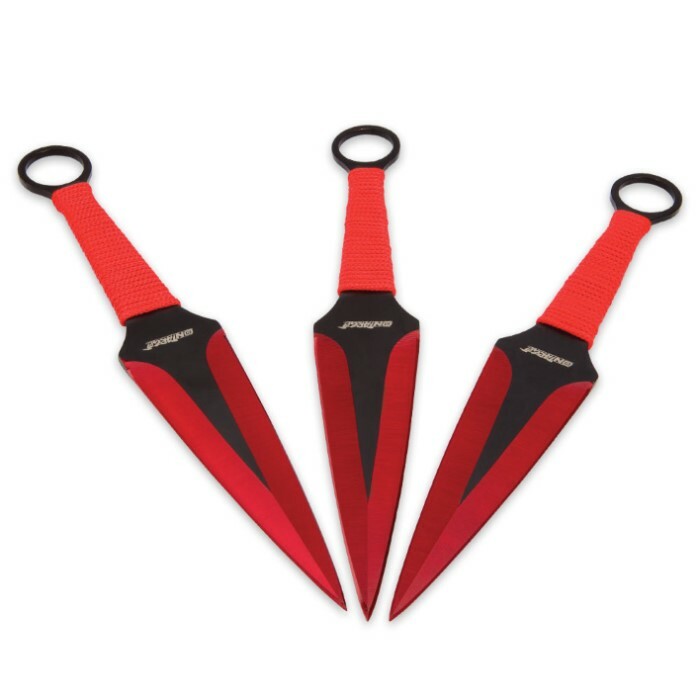 These sleek throwers are tons of fun in backyard target practice or friendly competitions! These are bigger than any other throwing knives I have. Not razor sharp but the tips are pointy enough to stick into your targets. I'd hate to be on the receiving end of one of these things. Thanks BudK!